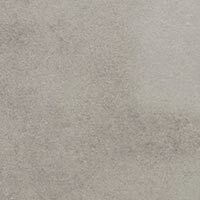  To create this impressive finish a glaze is applied to certain varieties of ceramic and porcelain during the manufacturing process. 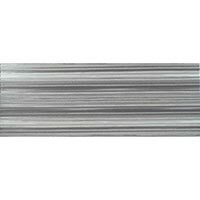 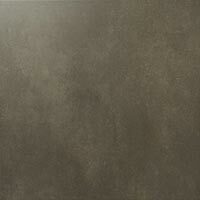  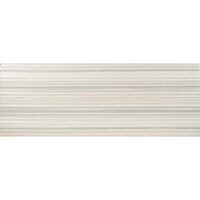 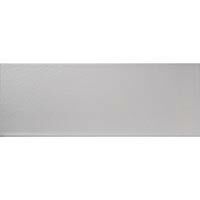 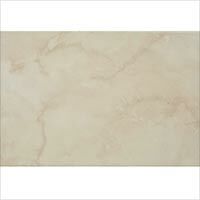 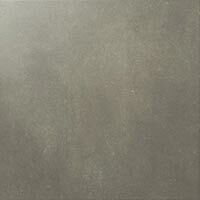 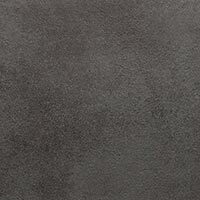 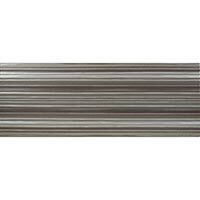 This finish provides the tile with protection against staining, scratching and moisture damage. 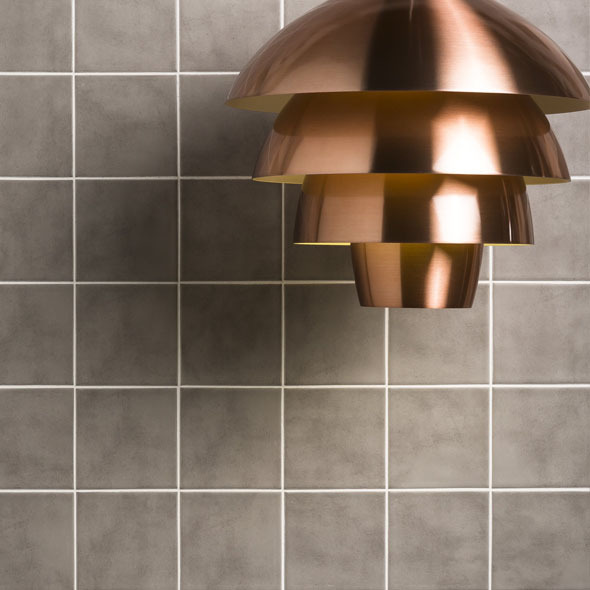 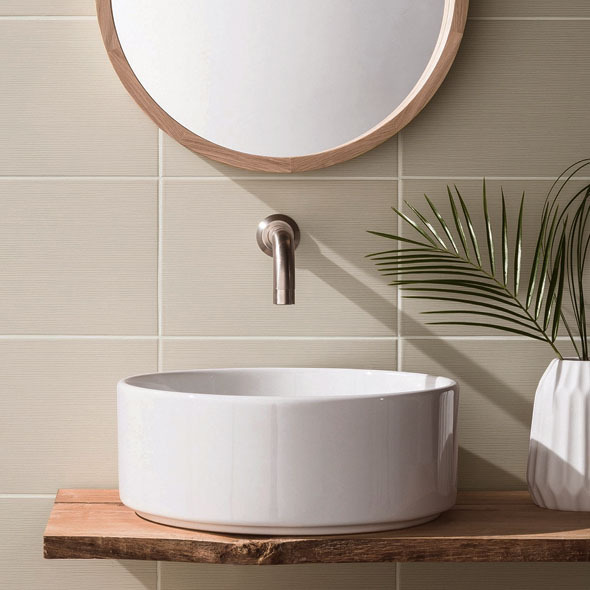 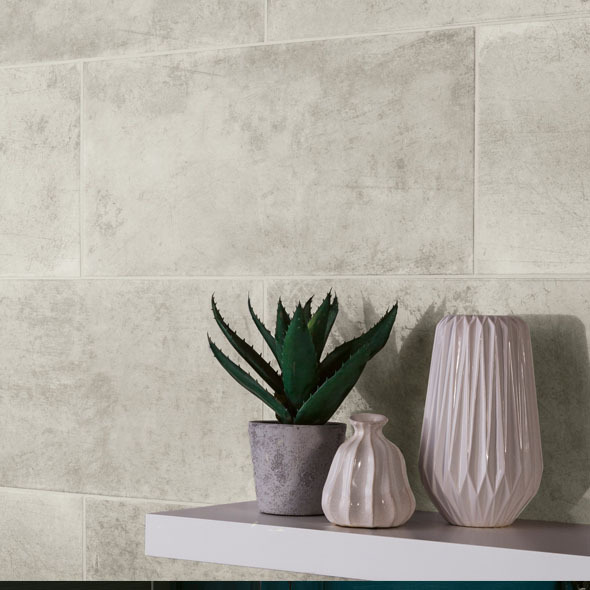 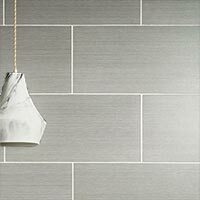 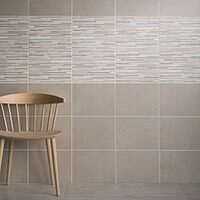 This collection is often chosen for walls in shower areas and splash backs in kitchens above oven hobs and worktops for easy maintenance and cleaning. 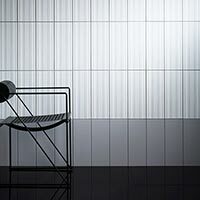 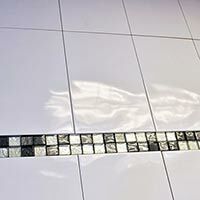 They can create a shiny, reflective quality that adds fresh, modern appeal. 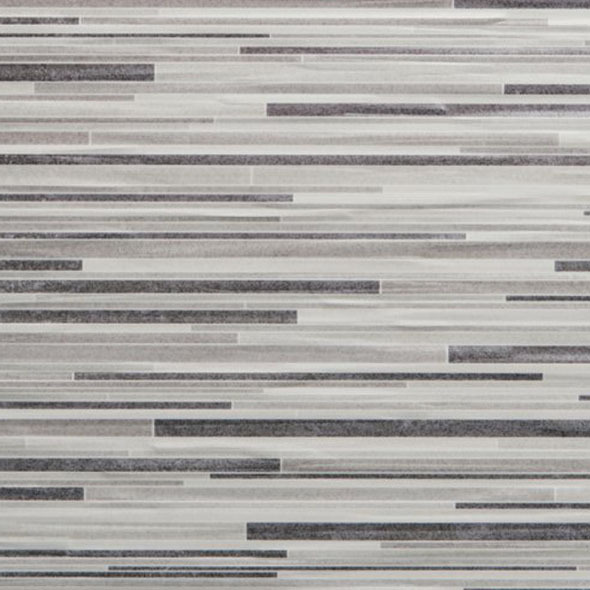 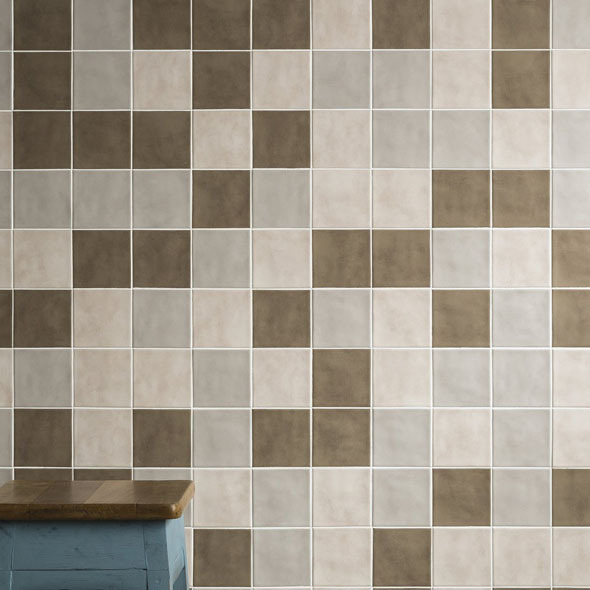 In addition to our standard wall and floor varieties we also have glazed varieties of mosaics and borders. 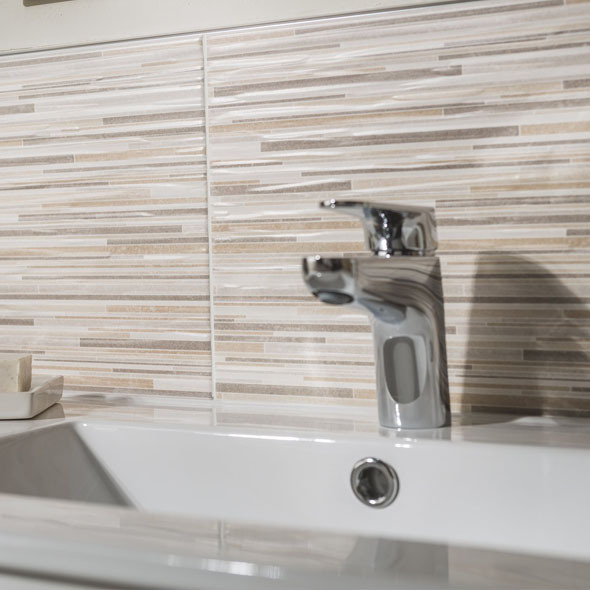 We offer textured patterns within our collections which help to add an extra dimension to bathroom and kitchen interiors. 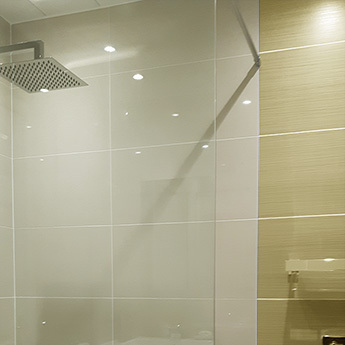 A glazed finish is often chosen for walls in shops and cafes, as they are cost effective and easy to maintain. 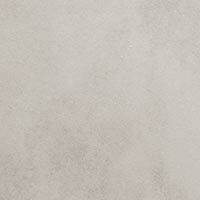 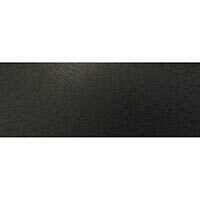 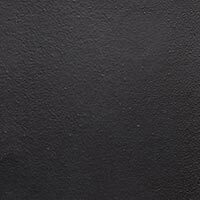 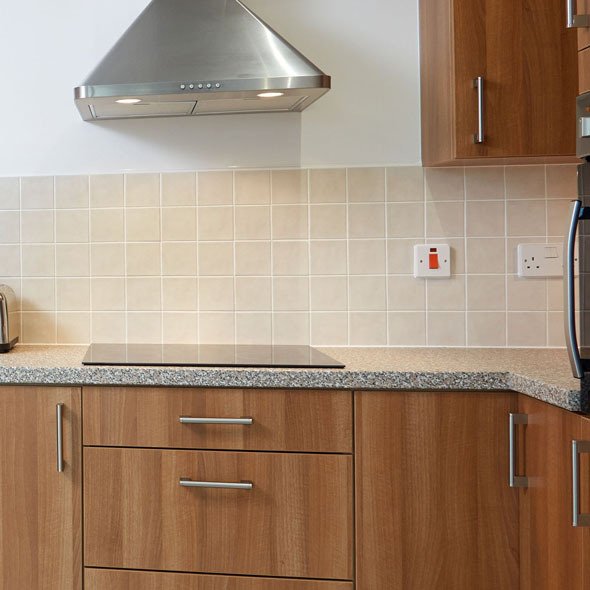 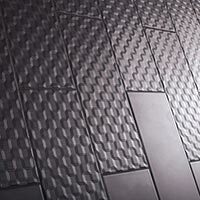 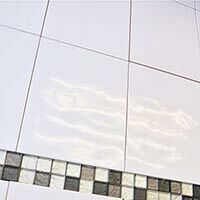 Coverings from this range are ideal for areas which are prone to the build-up of dirt and dust. 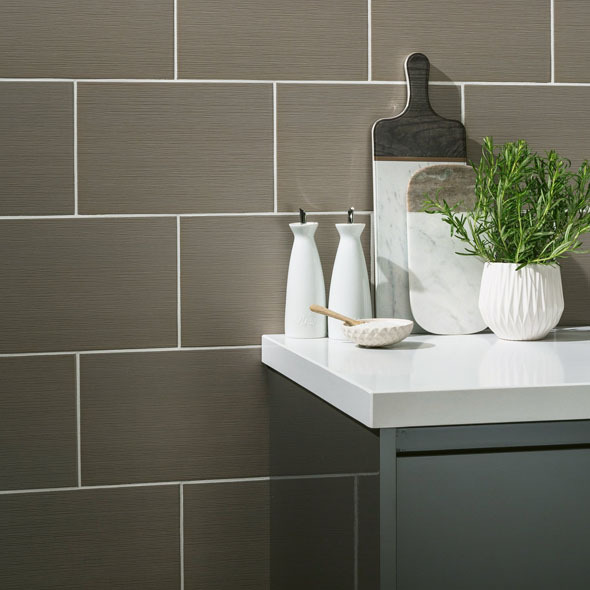 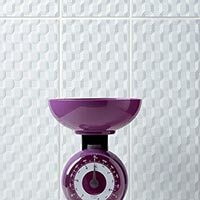 The Glazed ceramic option is the most popular choice for DIY projects. 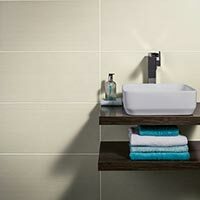 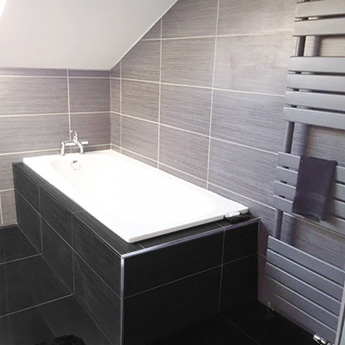 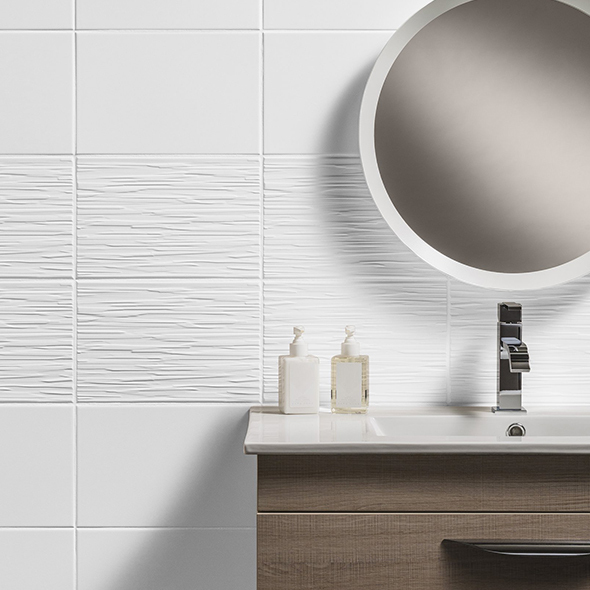 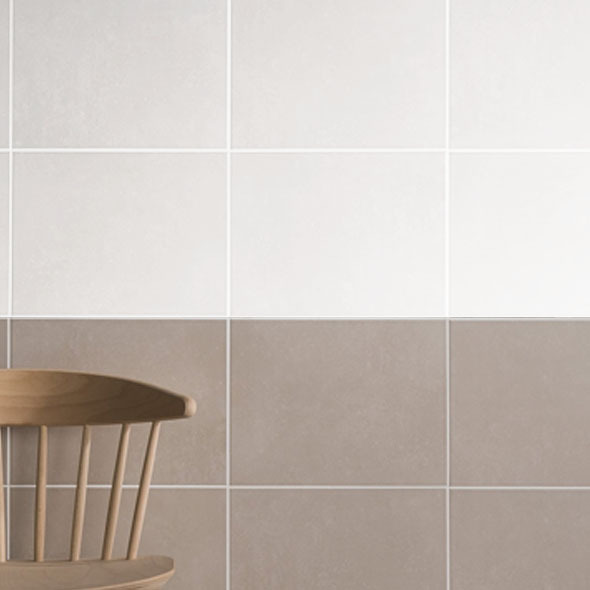 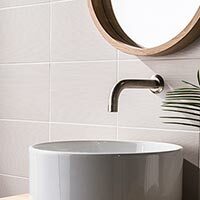 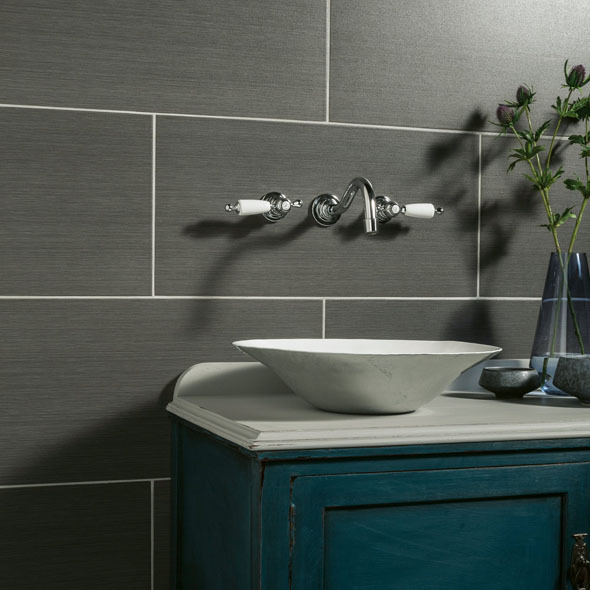 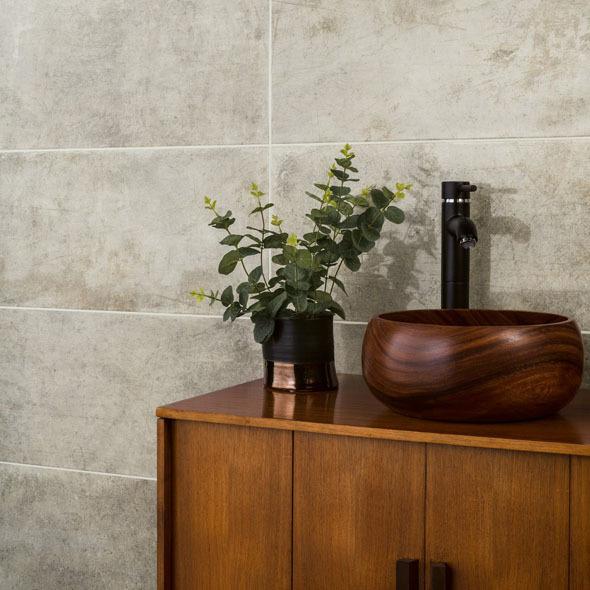 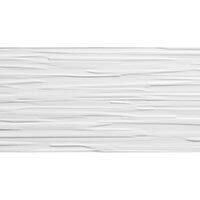 For bathrooms waterproof grout will help to provide a moisture resistant surface which protects underlying substrates. 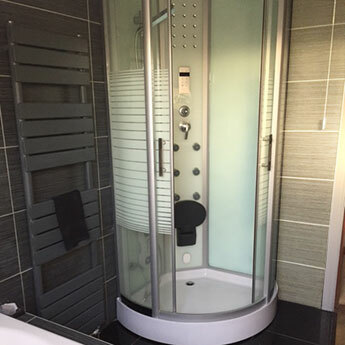 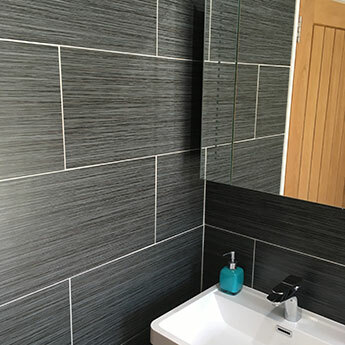 You can discover more about how to use any of our glazed options as part of DIY projects by getting in touch with Tilesporcelain.